From the moment that mother of one Anu Paavola stepped out of the Karnataka based hospital in India where she had spent months training and practising on patients whose ailments ranged from open wounds to chronic disease, she knew that the practise of Ayurveda – the ancient science of healing which takes a rational and objective approach to health management, disease prevention, rejuvenation and revitalisation, would form an integral part of her life’s work. Having flown to Hubli in 2009 for the training which formed part of her degree course in ayurvedic medicine, the practitioner spent the months that followed moving from her work in hospitals to periods of self searching, including a transformational month in the Himalayas free from the distractions of television, radio and internet. World’s apart from Western hospitals, Anu was faced with patients coping with leprosy and severe deformity, and discovered a world where the practise of Ayurvedic medicine included the use of leeches and therapeutic vomiting. Based on the principle of polarities, Ayurveda states that nature’s way of healing is through rebalancing. Western medicine is very efficient in reducing pain and dealing with emergencies. However its deficiency lies in dealing with long lasting conditions that originate from faulty diet and lifestyle such as obesity, diabetes, arthritis, stress and its related conditions. Digestive disorders like IBS, colitis, various skin conditions like eczema and psoriasis. Ayurveda can, if not cure the condition, provide great relief, better disease management and thus improve the patient’s lifestyle. Aged 37 and with eyes wide open and inspired by her hands-on education, it was Anu’s entry to an Ashram which became the catalyst for the acclaimed therapist’s transition from student to practitioner, as she met with many Westerners also on a self searching quest and open to the Ayurvedic philosophy and approach which had entranced her. “I was so excited about all I had learned in Hubli that I could not wait to put my newfound knowledge to good use. The power of Ayurveda had impressed to a degree that there was no question about my focus on my return to London, “ Said Anu. Full of zest and a new perspective on ideas around health and preventative care of the mind, body & spirit, it would be two years before Anu moved from renting a small treatment room in London to viewing the perfectly situated premises in London’s sought after Kensal Rise, where she knew instinctively that it was the perfect venue for her vision of the organic spa and apothecary to come to life. Days later (when her baby was justthreemonths old) the run down premises became Jivita Ayurveda, London’s only combined Ayurveda spa and retail space, where the core elements of diet, lifestyle, detox and treatments are combined for customer’s health, beauty and wellbeing. Attracting both seasoned Ayurveda therapy followers and customers curious about alternative therapies and approaches to wellbeing, Anu has successfully managed the challenge of running a new business alongside motherhood for the past three years, securing a phenomenal reputation for the sheer focus on customer experience and ensuring a personally tailored experience for everyone that visits. With treatments ranging from the ILA Rainforest rejuvenation facial to the sublime Shiroabhyanga, a scented oil Indian head massage which impacts the whole body as it acts straight on the central nervous system through the bodies marma points, the approach is always tailored, with customers invited to a consultation which may lead to a prescription of the ten day detox (enema, colonic, treatments) or a nutritional overhaul. Incorporating her ten years of practicing and teaching Ashtanga and Shivananda yogic practices into patient treatment, Anu’s approach is exceptionally unique to anywhere in London currently. With her mission to demystify Ayurveda and make it accessible by presenting everything the philosophy can offer under one roof, the mind, body & spiritual sanctum that is Jivita Ayurveda nestled in London’s Kensal Rise Village, is the enchanting result when East meets West. The passion for the trade for Anu comes from the joy of adventure that she experiences with her clients. 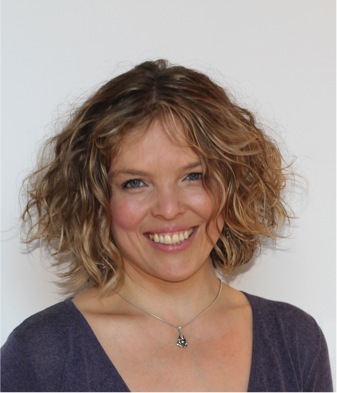 She teaches Ayurveda at Yoga London and does workshops. She writes articles and updates social media with interesting tips and resonating articles about integrating ayurveda to everyday life.